Through extensive, intimate interviews with eighteen living chiefs (including Reince Priebus) and two former presidents, award-winning journalist and producer Chris Whipple pulls back the curtain on this unique fraternity. 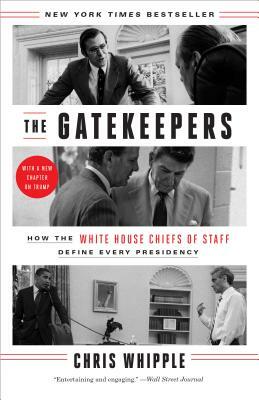 In doing so, he revises our understanding of presidential history, showing us how James Baker’s expert managing of the White House, the press, and Capitol Hill paved the way for the Reagan Revolution—and, conversely, how Watergate, the Iraq War, and even the bungled Obamacare rollout might have been prevented by a more effective chief. CHRIS WHIPPLE is an acclaimed writer, journalist, documentary filmmaker, and speaker. A multiple Peabody and Emmy Award-winning producer at CBS's 60 Minutes and ABC's Primetime, he is the chief executive officer of CCWHIP Productions. Most recently, he was the executive producer and writer of Showtime's The Spymasters: CIA in the Crosshairs.